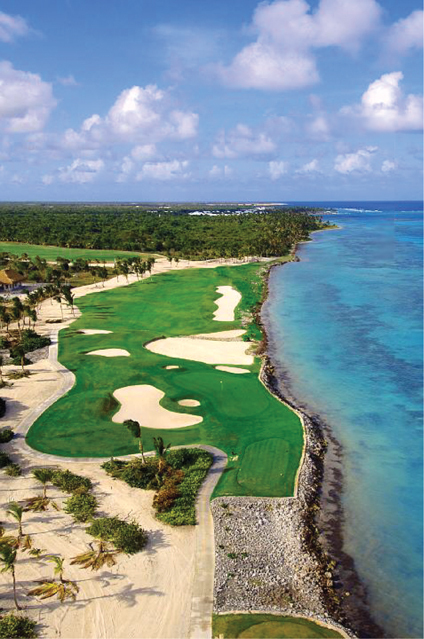 La Cana Golf Club is innovative, challenging, beautiful and fun. It plays long to 7,152 yards from the championship tees but the rewards include four superb holes playing directly along the Caribbean Sea and 12 holes with magnificent sea views. The Dye pot bunker is ever present and the 7th hole boasts a cluster of 21 of these trademark bunkers. Designer and Architect, P.B. Dye jokingly refers to this area as “Hecklebirnie” a type of golfer’s purgatory according to Scottish lore. SUMMER MAINTENANCE PROGRAM: as La Cana offers 27 holes, there will always be 18 holes available for play (see Closing dates below).